The biggest city in Indonesia, Jakarta, is also one of the underrated ones by travelers visiting the country. This metropolis has been the political, economic and cultural center of the nation since its founding in the 17th century. The place is considered a melting pot of cultures, where the traditions of many nations (European, Chinese, Arab, etc.) meet with the various Indonesian ethnic groups (including Javanese and Sundanese). Most people visiting or living in the city ended up spending their days at one of the hundreds of malls scattered around the metropolis, but being Jakarta the place where you can see all the mix of cultures in Indonesia, I highly recommend stay away from the malls and dive in in the local market life. Why? 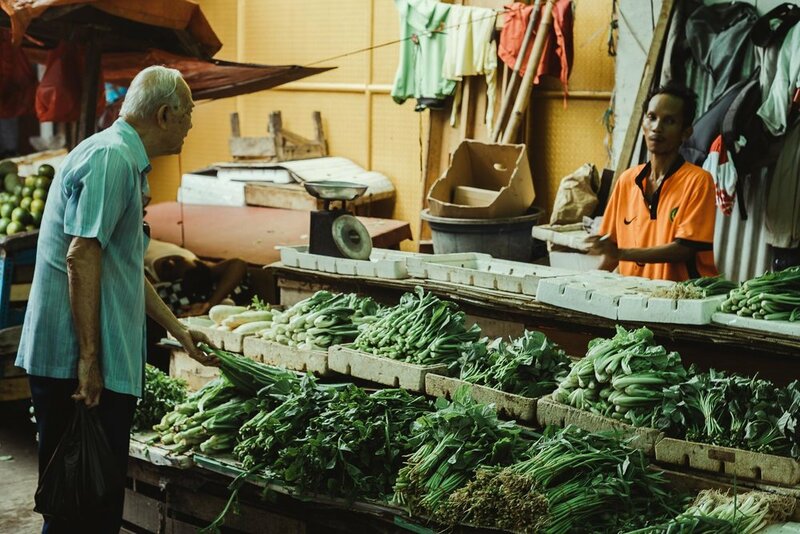 Because at the local markets (called pasar, in Indonesian) is where you can really see life in its purest sense, amongst locals shopping for groceries. In Pasar Bunga Rawa Belong, the Flower Market and my favorite place in the city, you can find diverse types of flowers, but also see the local costumes, especially when seeing a vendor preparing a jasmine arrangement that is supposed to be worn by the bride at her wedding. 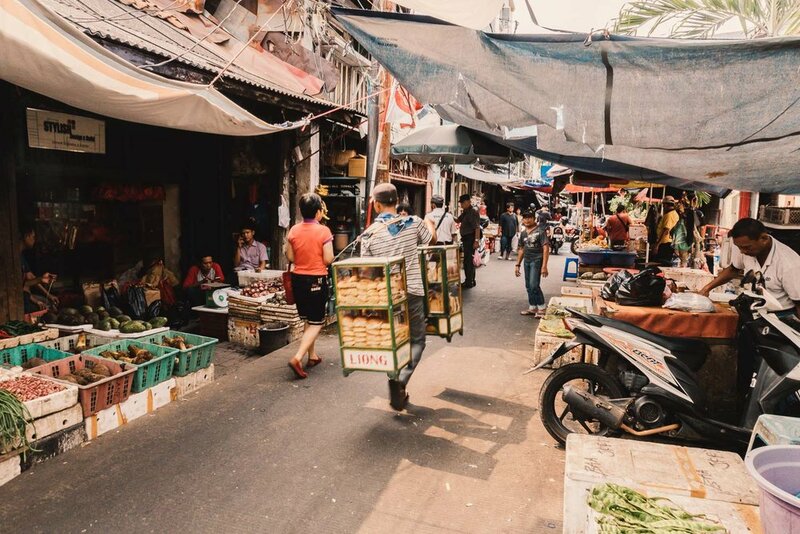 At Pasar Glodok, the Chinatown of Jakarta, everything is chaotic, noisy and the motorcyclists driving as they wish, but it is still a colorful place with a great positive energy. 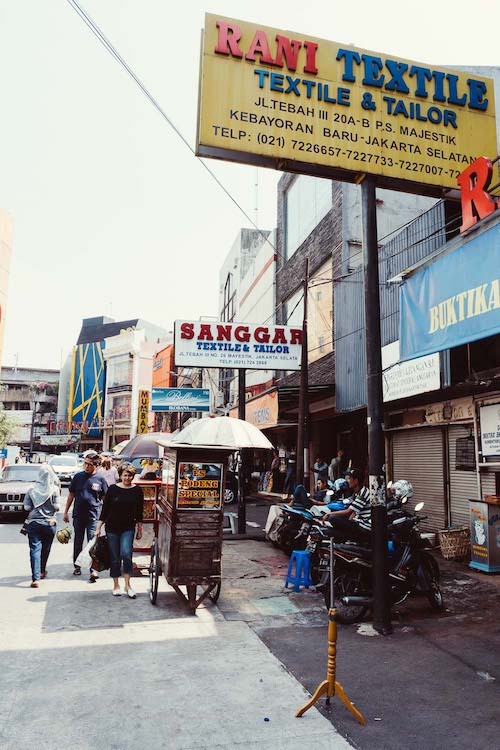 At Pasar Mayestik, the Textile Market, you will be able to get lost between rows of fabrics, buttons, zippers, and might even get something bespoke, from one of the hundreds of tailors there. 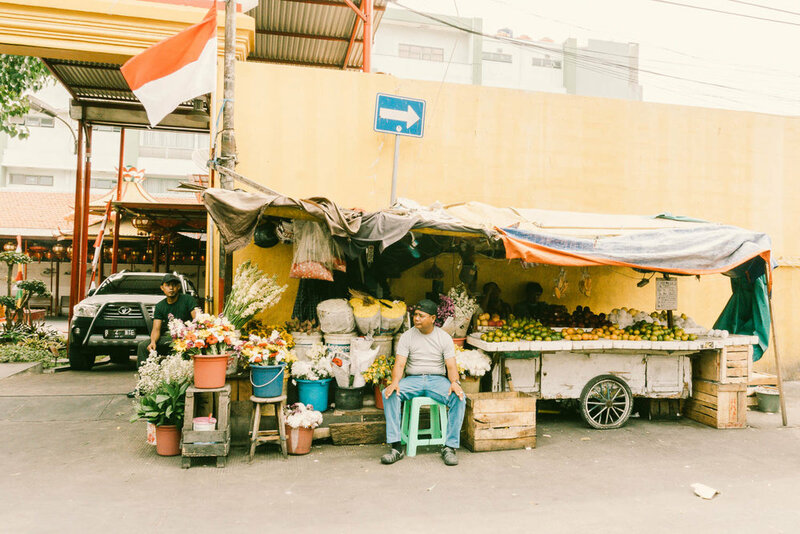 Visiting malls may be easier in Jakarta, especially with the gift that is the air-conditioner, but get in touch with the local culture at the local market, and be prepared to be surprised in every sense.